Note that the Greens did well enough for one of their candidates to leapfrog both the Labour candidates. The Liberal Democrats will be pleased to have come second; the party came third when this ward was contested at the 2014 local elections. 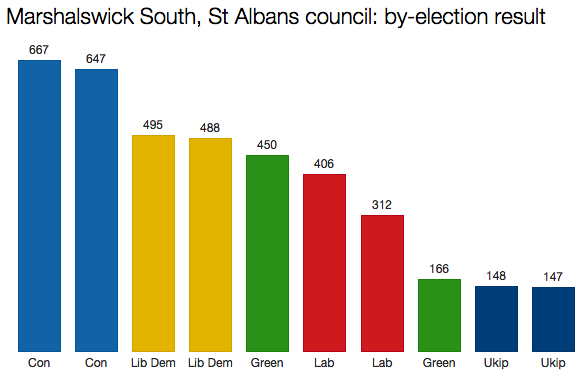 January was rather quiet for council by-elections, and the Press Association has been able to use only four comparable results to calculate a “final score” for the month. It found a 2.6% projected nationwide Conservative lead over Labour. This compares with the more than 10% margin the Tories would need to guarantee an outright majority of MPs in May. 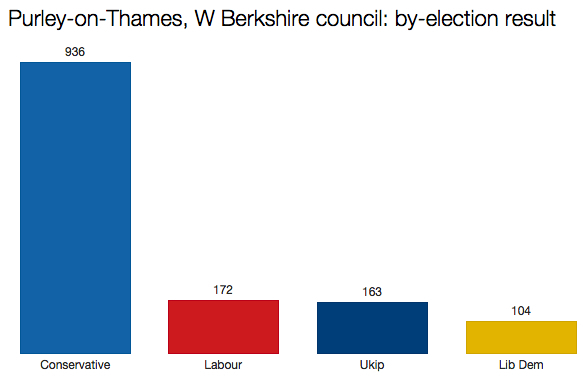 Ukip averaged 20.8% in the five wards it contested in January. I happen to live in Marshalswick South. The by-elections were caused by two Conservative councillors (one elected just last year) resigning to become parliamentary candidates elsewhere. I can’t recall receiving quite so many campaigning leaflets in recent years. The Green positioning was interesting – please use one of your two votes for our first candidate! Clearly that worked to attract away a quite few Labour votes.